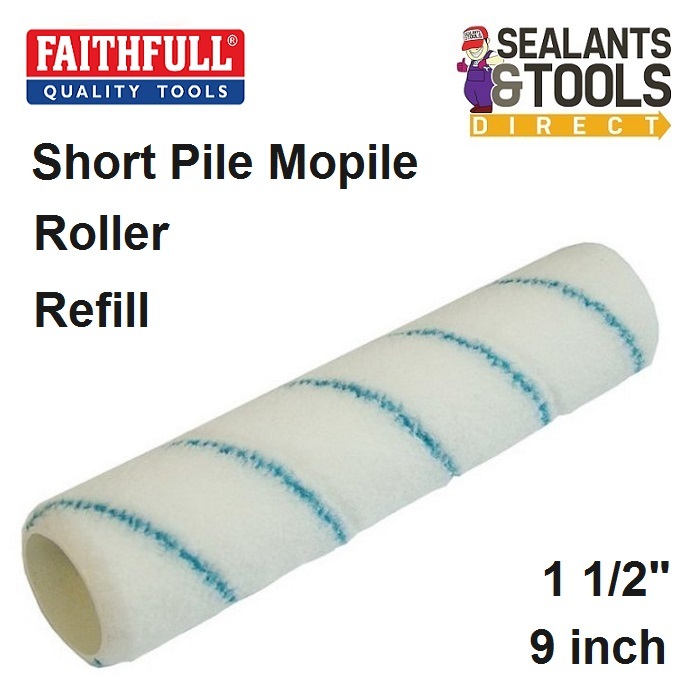 Faithfull Short Pile Gloss Paint Roller Refill Sleeve 9 Inch 1 1/2"
Faithfull Short Pile Gloss Paint Roller Refill 9 Inch 1 1/2"
Faithfull Short Pile Gloss Paint Roller Refill 228 x 38mm 9 Inch 1 1/2"
Faithfull Mopile Roller manufactured in Europe to demanding standards. with gloss Varnish and solid emulsion paints. Faithfull Paint Roller Frame 230mm 38mm 9" X 1 1/2"
Stanley Microfibre Maxfinish Paint Roller Refill Sleeve 230mm 37mm 1 1/2"
Faithfull Short Pile Gloss Paint Roller Refill Sleeve 9 Inch 1 3/4"